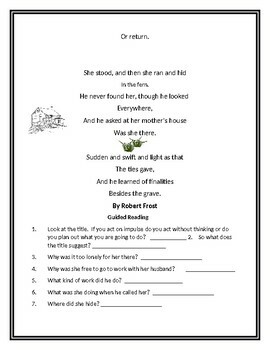 Four-pages of illustrated worksheets featuring a Reading Guide to Close Reading with Poetry using The Impulse by Robert Frost. 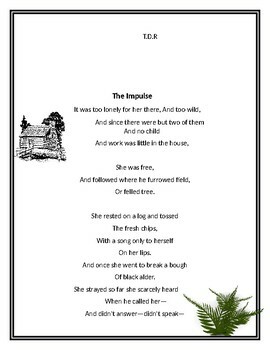 The poem has comprehension questions , explanations and thinking questions called The Rest of the Story. 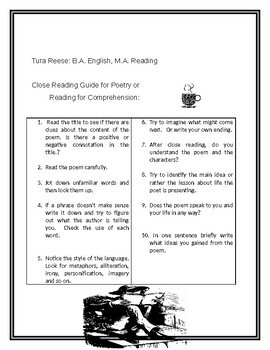 A close reading is included. A versatile bell or exit exercise that can also be used as an emergency lesson plan. 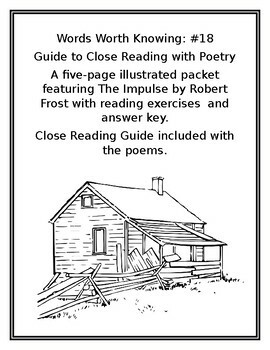 Close Reading with Poetry is 18/35 in the WORDS WORTH KNOWING series which is intended to enrich a middle school or home-school Reading/English curriculum.